The mobile application includes features like checking and loading funds, notifications for low balance, and managing multiple Presto cards. 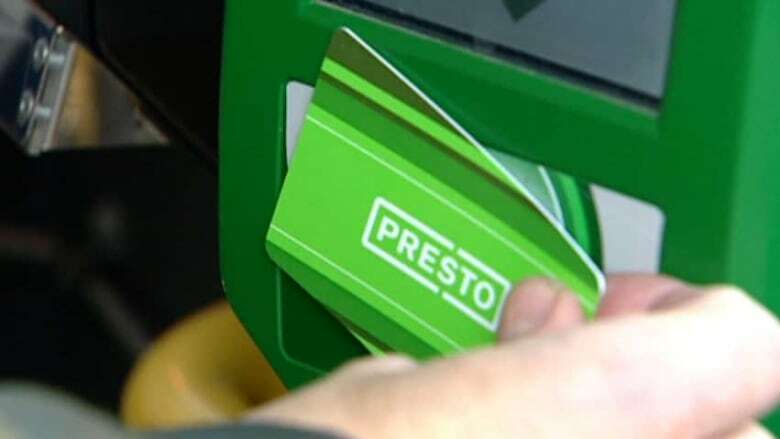 Presto's mobile app for both Apple and Android devices has officially arrived, but transit riders who spent a month before the launch testing the app have been giving it mixed reviews. "I am able to see my current balance using the app but what actually makes it really useful to me is that I can reload my Presto while I am travelling," Sharma told CBC Toronto. But the long-awaited application isn't such a hit with other riders who've spoken out on social media. Ross Woodruff, an iPhone user, is one of the thousands who took part in the app's beta testing phase. He says this limitation for Apple users reduces the convenience of the app. "The design is nice, it looks all right. It's just not very full-featured," Woodruff said. "It's really just a mobilized version of the website, which is not amazing." "For me, having the app should come with the feature to use your phone as the pass itself," he said. "We do have longer-term plans to allow customers to tap with their phones, however our focus right now is on ensuring a high-quality experience through the app," a spokesperson for Metrolinx told CBC Toronto in an email. As for concerns raised by iPhone users about the app, Metrolinx said: "If, and when, other mobile platforms adopt this technology, we would make this feature available for other phones." "We're thrilled that more than 15,000 customers took the time to test our Presto app and give us their feedback," Czerny wrote.